Want to serve delicious desserts in two flavours, but need a machine that can cope with high demand? Introducing the Taylor C713. This machine is a gravity fed, twin flavour soft serve machine. 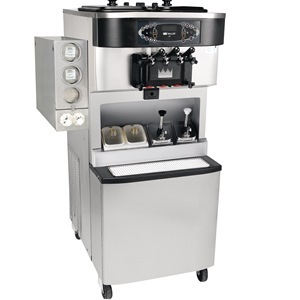 We think it’s the perfect addition to any business looking to serve soft ice cream or frozen yogurt in high volumes, quickly. Great results every time. To find out more please fill in the quick form above the image.